Blurb: With 284 pictures between the book's 533 pages, the book depends equally on its pictures as it does on the actual words. Selznick himself has described the book as "not exactly a novel, not quite a picture book, not really a graphic novel, or a flip book or a movie, but a combination of all these things." 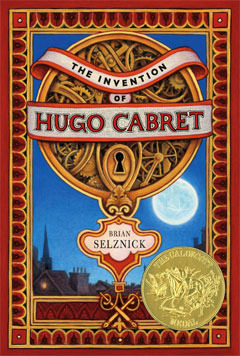 The Caldecott Medal is for picture books, in 2008 this was first novel to receive. The primary inspiration is the true story of turn-of-the-century French pioneer filmmaker Georges Méliès, his surviving films, and his collection of mechanical, wind-up figures called automata. Selznick decided to add automata to the storyline after reading Edison's Eve by Gaby Wood, which tells the story of Edison's attempt to create a talking wind-up doll. Méliès actually had a set of automata, which were either sold or lost. At the end of his life Méliès was broke, even as his films were screening widely in the United States. He did work in a toy booth in a Paris railway station, hence the setting. Selznick drew Méliès's real door in the book. 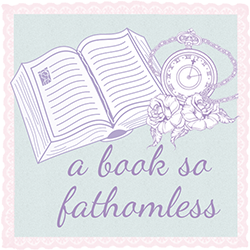 Review: This is another one of those books that I’d heard heaps about from all sorts of people, all of which were good reviews, but just never got around to reading it. I think the sheer size of this book was what originally put me off- I’d read books with more pages, but the book itself was this big, heavy hardcover that looked rather menacing despite it being a children’s novels. In all truths, this book is perhaps one of the easiest books that I’ve ever read, and I don’t mean in writing style or anything like that, but in the sense that it was fast paced and enjoyable. I actually read/looked at all 525 pages of this book in one sitting that lasted about half an hour- that’s how quick this book was for me. One of my favourite things is the pictures and I especially like how they were used to replace words rather than having both the pictures and the words- I think this book is one of the greatest examples of ‘a picture is worth a thousand words’. The detail taken with each of the pictures was outstanding, despite them all being in grey-lead pencil (I might be wrong as I’m not an artist but I think it’s pencil). For me, the use of both words and pictures meant that I felt more of a connection to Hugo- like I knew him better because of both these elements than I would have with just one. Moving on. I enjoyed the actual storyline as well, especially due to the fact that while most of it was fiction, there was fact throughout the story too. I liked how all the characters were written and how there was a little bit of mystery with each of them. Needless to say, I loved this book so much and I would definitely recommend it to absolutely everybody no matter your age.